Update: Wow, my bad. I didn’t know about the Ronaldo allegations. His name has been replaced! On the surface, soccer seems like an easy sport to master: You just run and kick a ball. But in reality, only a handful of humans will ever be truly exceptional at futbol. 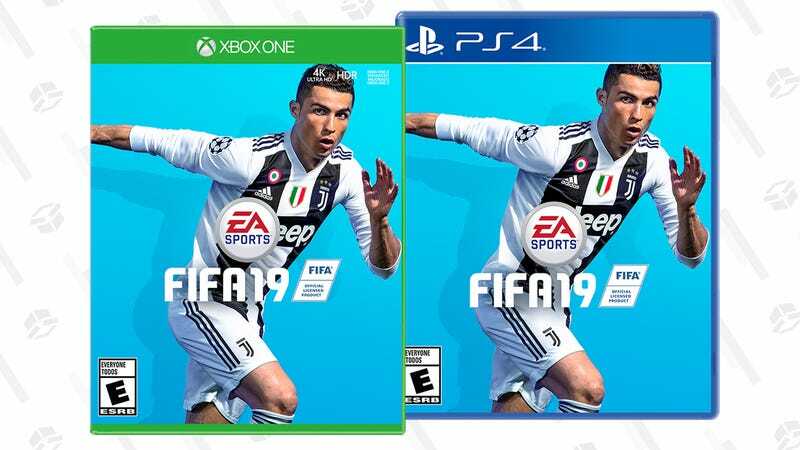 You’re far more likely to achieve excellence at FIFA 19 for Xbox One or PlayStation 4, and right now the game is only $29 at Walmart. (Stock is fluctuating, so ordering for in-store pickup is probably your best bet — who wants to pay $6 for shipping, anyway?) Before you know it, you’ll be scoring enough GOOOOOOOALS to keep Andrés Cantor busy for life.